Global 6 Sigma offers Lean Six Sigma Certification and Training courses in: White Belt, Yellow Belt, Green Belt, Black Belt and Master Black Belt. 6Sigma.com also offer Certification and Training courses in Hamilton, Ontario, Canada: Lean Six Sigma, Design for Six Sigma, Green Process Management and Minitab. 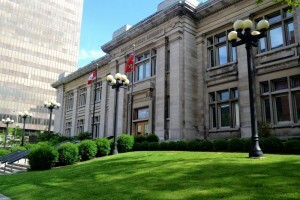 Being a port city of Canada, Hamilton receives its fair share of business throughout the year. The city has now become the centre of a heavily populated and industrialized region and is the third largest metropolitan area in Ontario, and ninth largest in Canada. The economy in Hamilton is growing rapidly, but with a growing economy comes growing competition for jobs. Not every graduate can get a job straight away, and for many, this can become quite a hurdle. Just last year, Hamilton’s unemployment rate rose to 6.4%. This means that there are more graduates without jobs and experience. Lean Six Sigma green belt training can help you change that. How is Lean Six Sigma Green Belt Training Helping me? For many candidates, Lean Six Sigma green belt training holds as much importance as it does for companies. Lean Six Sigma is more than just a method. It is a disciplined doctrine used to scour out imperfections in every aspect of business. When a job seeker has a certificate that can endorse them as experts in a methodology as highly esteemed as Lean Six Sigma green belt training, it increases their chances of landing a job, usually at a much higher pay scale than the norm. The unemployment rate in Hamilton has gone from 6.4% to 7.3% in 2015, and with the rate increasing this way for a port city, it can affect the economy badly. Going for a job opportunity with training by Six Sigma can increase your chances greatly. Many companies are now implementing Lean Six Sigma Green Belt training for their employees throughout the organization, and if you already are certified by Lean Six Sigma, then not only will you be employed for your skills but also because you are already trained in something that they have to send their employees for. The median income for employees in Hamilton is $36,610, but with Lean Six Sigma Green Belt training, you can increase your chances of getting a pay raise as well as importance in your company’s eyes for your insight. To increase revenue, Hamilton has been inviting companies to invest, and with a population of over 500,000, is one of Canada’s most economically diverse and major cities. Hamilton was also named the ‘Top Investment City in Canada’, and with so much investment coming in, many new companies are seeking candidates with the right skill set. That’s where the problem arises; there is a severe dearth of individuals with the right set of skills, but with a lean six sigma training certificate, you have an edge. Nowadays, just having a degree is not enough. Experience is always better, but one certainly boosts their profile by attaining professional certifications in Lean Six Sigma green belt training. The certification has several levels, starting with the basic White and Yellow belts, with those holding the higher belt levels are considered authorities in their respective fields. 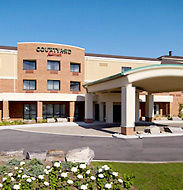 The new state-of-the-art lobby at the Courtyard by Marriott Hamilton provides flexibility and choices for our guests. This Hamilton Ontario hotel features our new lobby with inviting spaces to work or relax in, free Wi-Fi throughout and easy access to the latest news, weather and airport conditions via our GoBoard™. The highlight of our new lobby experience is The Bistro -which provides guests with healthy food and beverage offerings in the morning and evening dinner service with cocktails. Pamper yourself in one of our King Spa Suites with whirlpool. Unwind in our Indoor Pool, Whirlpool or Exercise Room. Venture out to see popular area attractions such as the FirstOntario Centre, Canadian Warplane Heritage Museum and Dundurn Castle. This Ontario Marriott wedding venue hotel is near McMaster University, Mohawk College and Hamilton Health Sciences offers 4,343 sq ft of state-of-the-art meeting rooms, making it an ideal location for meetings, corporate events, or the perfect wedding reception.